"Half Truths and Full Lies" is a collaborative film project between nonfiction filmmakers Tirtza Even, Meg McLagan, and multimedia producer Elyse Blennerhassett depicting the case of Efrén Paredes, Jr. who was arrested at age 15 and sentenced to life without parole in 1989 for a M**der he asserts he did not commit. The multi-channel installation takes on a Rashomon-like quality, as divergent accounts of the crime accrue, forming multiple portraits of Efrén . These accounts reflect perspectives of a range of individuals, from a police detective to key witnesses from the tight-knit small town community who singled Efrén out, as well as of those whose lives -- over the past 30 years -- were most affected by the teen's conviction: family members, teachers, and citizens who sat in judgment as jury members. 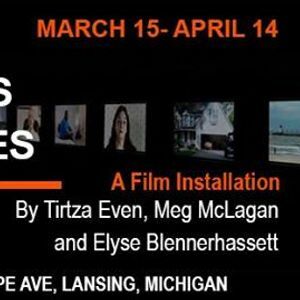 Filmmakers Tirtza Even and Elyse Blennerhassett will attend the opening reception. Efrén will call into the event from Pr*son that evening and will answer questions and participate in media interviews. The reception is held on the 30th anniversary of Efrén 's original arrest date. In addition to the film installation Half Truths and Full Lies, Casa de Rosado features Efrén's wall of justice, including Efren's writing, poetry, and drawings he commissioned in Pr*son. The reception is Friday, March 15, 2019, from 5 - 8 p.m. at Casa de Rosado. 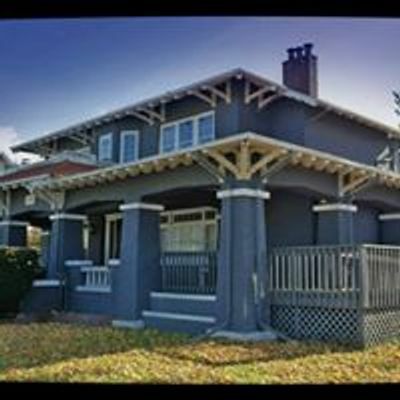 The gallery is located at 204 E. Mt. Hope Lansing, MI. The exhibit runs March 15 until April 14, 2019. For this exhibit, the gallery is open Tuesday thru Sundays from 12pm to 5pm. The event is free and handicap accessible. You are encouraged to use this event page to invite friends in your network to view the film installation, to share the event on your social media platforms, and ask others to do the same. "Half Truths and Full Lies" tells a story about a story; one constructed by a group of teens who appear to have conspired to set up their peer, and whose narrative played on stereotypical assumptions about racial minorities. This account became the only one the public and the jury got to hear and the one upon which the local police and prosecutor relied. The installation, however, is also a story about a handful of alternatives, untold stories, and at their center -- Efrén 's story of innocence. The project attempts to recuperate conflicting narrative possibilities and to investigate the nature of truth-telling in both media and the law. The goal of the film is to create a new form of storytelling that unfolds nonlinearly and in space: to surround the viewers with incompatible slivers of the narrative and have them piece the story together themselves. Even when added up, however, the various angles of the story form a broken and inconsistent whole. The goal is to generate reasonable doubt about the narrative version used by the prosecutor and to thus undermine its certainty.